Welcome to Maid Right of Minneapolis! We’re an experienced, professional team of residential cleaning experts, serving Minneapolis-area communities including Eden Prairie, Edina, and Hopkins. Our home cleaning service helps homeowners achieve a higher grade of clean in their home. 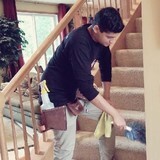 Under our owner’s watchful eye, our team ensure your home is clean, comfortable, and attractive. Our residential cleaning plans are created based on your exact wishes and needs. At Maid Right of Minneapolis, our dedication to exceptional results starts at the top of our company. Our owner takes pride in our sterling reputation and works tirelessly every day to maintain it. That’s why our owner will work directly with you on every part of your services, from your residential cleaning plan, to the cleanings themselves, to the quality control systems we use to ensure your satisfaction. Not only that, we promise that every cleaning of your home will be delivered by the same team of experts each time, guaranteeing consistency of service. No other residential cleaning company in Eden Prairie, Minneapolis, Edina, or Hopkins can match our dedication to our clients. My mom started house cleaning when I was in high school to help pay for my older siblings college tuition. It was very part time, eventually word of mouth spread and she gained more clients. By this time, I was going to college and began to help her out part time. Once I finished school and married my beautiful wife Annie the fall of 2005, my mom retired. All the clients that I helped my mom with asked that I continue to clean for them. From there I built up my own cliental through referrals and fliers. To this day, I still have most of the original customers from my mom. I have worked hard to meet the high standards of my mom and by doing so, the business has grown. MaidPro Edina is owned by Travis and Kara Goldfein. Travis and Kara love spending time outdoors and travel whenever they have a chance. On weekends, the couple can be found taking day trips to the best fly-fishing spots in Edina or just taking a stroll in the great outdoors. The Goldfeins also love to cook, utilizing fresh herbs they grow in their garden for that perfect fresh mean. 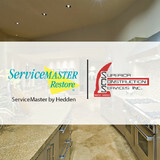 As the owner of MaidPro Edina, their goal is to help clients spend more time having fun and less time house cleaning. We pride ourselves on delivering top-quality house cleaning to all homes in the Edina area. MaidPro has a deep tradition of excellence and is the premier cleaning service in Minnesota. We offer a variety of cleaning schedules to fit your specific needs, because your standards aren’t standard. If home cleaning is taking away from the valuable time you could be spending with your family, on hobbies, or just enjoying yourself, contact MaidPro Edina. Your time is important--let us give a little back to you. We offer the best house cleaning services in Chanhassen, MN. Please contact us for all of your house cleaning needs! Locally owned serving the Chaska, Chanhassen, Victoria, Shakopee, Eden Prairie and Southwest Metro Time For Your Life! provides you with the opportunity to make time for your life by doing those time consuming things for you including house cleaning; gardening; organizing closets, rooms and garages; shopping; party planning; running errands; decorating your home for the holidays or other events; etc. We customize our services to meet your needs. We are a locally owned and operated company serving the SW metro area including Chaska, Chanhassen, Victoria, Shakopee, and Eden Prairie since 2007. It is our goal to give you the very best, whether it is one time service or an on-going basis. Your satisfaction is very important to us! We stand behind our work. If for any reason your expectations are not met, please inform us within 24 hours of any possible oversights and we will come back to make it right at no additional cost to you. Our goal is to have 100% satisfied clients. We appreciate your business! What should I expect from a house cleaner in Eden Prairie, MN? Most professional Eden Prairie house cleaning services will do the same tasks for a basic residential cleaning job: clearing dust and cobwebs from all surfaces and fixtures; wiping all surfaces, including sinks, tubs, counters mirrors; cleaning tile; vacuuming and mopping. You may want to have different rooms detailed at different times, so ask about doing a rotating schedule if you want them to pay extra attention to each space (like kitchens and bathrooms) every other cleaning. Some house cleaning companies in Eden Prairie, MN will also offer additional services such as window washing or appliance cleaning, so ask about incorporating them into your deal or doing them as a one time thing if you’re interested. Pick up any clutter (laundry, toys and other gadgets) and put pets in a secure spot so they feel safe and don’t get in the way of the Eden Prairie house cleaning company. Put out any specific cleaning products or tools you want used, and make sure to lock up any valuables that you don’t want disturbed. Most housekeeping services in Eden Prairie, MN will enter with a spare key or garage code, but if that isn’t something you’re comfortable with then you should arrange for them to come when you are home to let them in. Typically Eden Prairie house cleaners expect payment at the time of cleaning, so ensure you have the appropriate form of payment (cash, check or credit card) on hand, plus a little extra for tip if that’s your style and they do a great job. 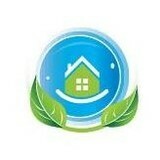 Find Eden Prairie house cleaning services on Houzz. Narrow your search in the Professionals section of the website to house cleaners in Eden Prairie, MN and contact local companies to ask questions and get quotes.